No other vehicle marries British excellence, style and performance better than an Aston Martin. Coming soon to Prestige Car Hire’s ever expanding fleet of luxury and performance vehicles, the inimitable Aston Martin DB11. Touting 447kW of horsepower, max speed of 200mph and an acceleration of 0-62mph in just 4 seconds, this sleek beast is a force to be reckoned with. 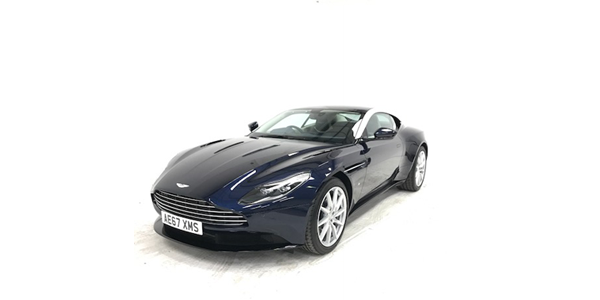 The Aston Martin DB11 offers incredible performance both on and off the track, which is why it comes as no surprise that it’s 007s vehicle of choice, and now it can be yours too. With a luxurious yet refined interior and smooth, rapid drive, the Aston Martin DB11 is the perfect car hire choice for drivers who want the ultimate James Bond experience. Make a statement at your next social or corporate event or simply travel in style with this beautiful product of British engineering. Enquire today about hiring with Prestige Car Hire. Call 0330 053 8955 now.